I can’t think why I’ve not made this sauce before. 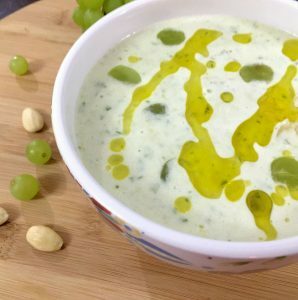 Considering that dips, spreads and pasta sauces play a significant part in my culinary life, how could I miss out on this finger-licking treat of a sauce! 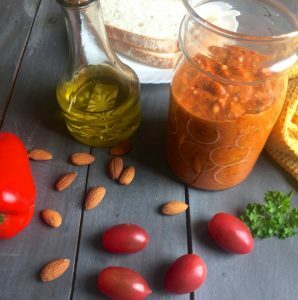 The Spanish Romesco Sauce is really really easy to make and if you roast the peppers till they are charred, the smoky flavours and the zing of the paprika and chilli flakes meld with the sweetness of the peppers and tomatoes.